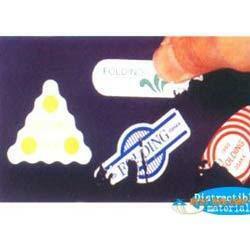 This labels are specially design to be used on product to protect pilferage. This industrial Security Label are also knows as tamper evident label because once they are applied on the box or any substrate or a packaging material and then tried to remove this labels get self distruted hence living a evidence that the box, substrate or the packaging material on which the label was applied is tampered. Looking for Security Label ?